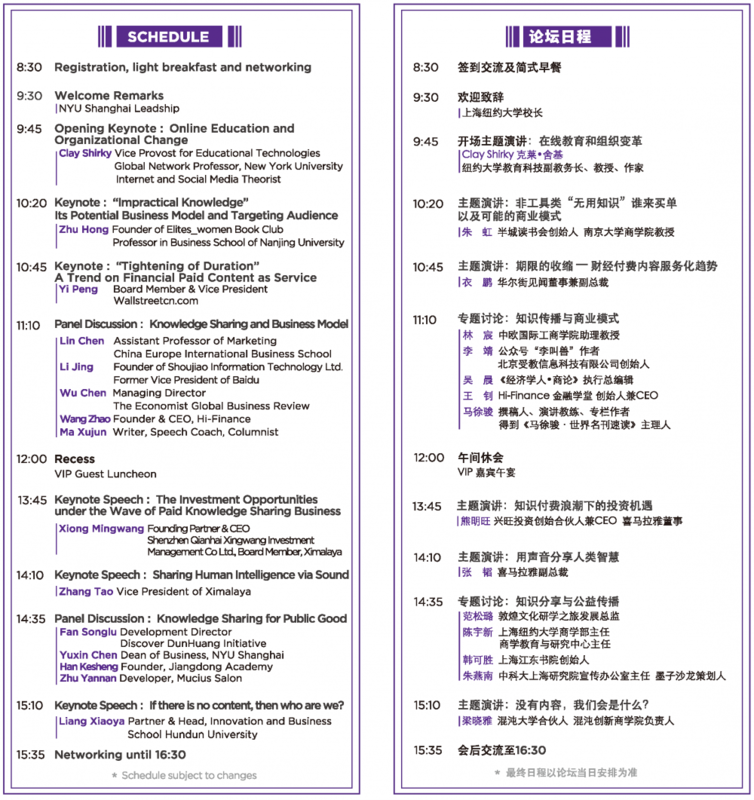 The demand for online knowledge has been exploding in the last two years along with the increasing acceptance of paying for online content by Chinese consumers. As a result, the paid knowledge-sharing business has experienced a rapid growth and is receiving great attention from the education, media, and digital industry. 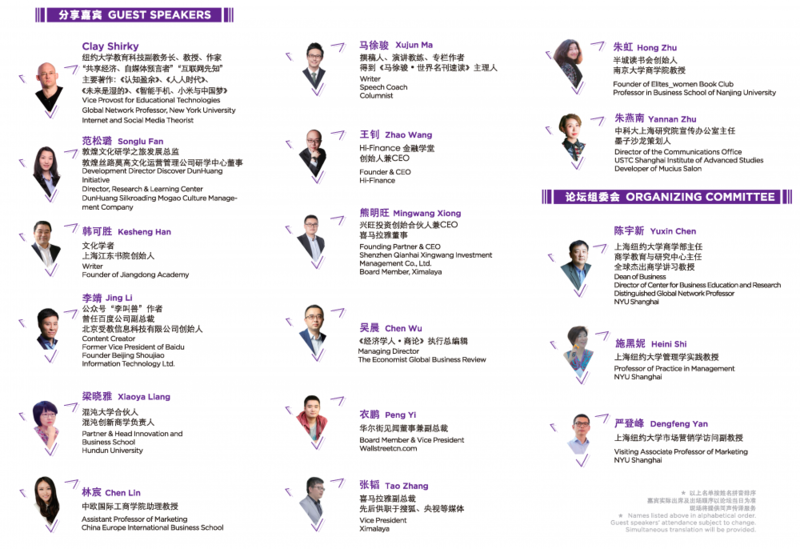 In order to gain further insights on this phenomenon, NYU Shanghai Center for Business Education and Research (CBER) will hold its inaugural “Knowledge Sharing and the Ideas Industry Forum” on June 9th, 2018 at Lujiazui in Pudong, Shanghai. * Simultaneous translation will be provided. Schedule subject to changes. Please fill in the form to apply for the free ticket! This online form will be automatically closed when all the RSVP vacancies are filled up. We will let you know your registration result by email or SMS as soon as possible. Please fill in your full name and contact information correctly.